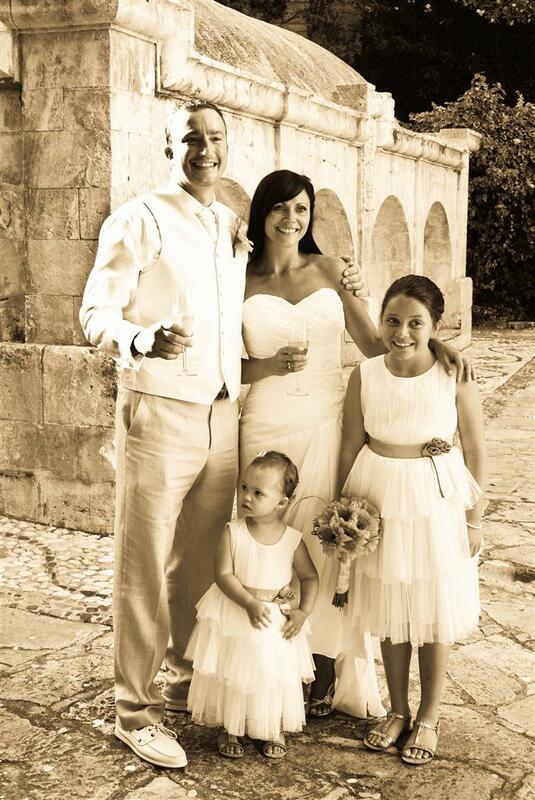 Married in May 2012 at the Coral Beach Hotel. Just wanted to say a really big thank you to you for organising the wedding for us, no hitches and it was so reassuringly knowing you were in the background for me. I really enjoyed the day and the boat even if no one else did. Please give Sherrie a hug from me and say thank you for her decorating skills, the terrace looked lovely and bless her I know she diced with danger on those steps, tell her to be careful. Did you find the lanterns? Such a shame that they go missing they looked so nice. Please say a big thank you as well to the cake lady, what a wonderful job she did I was so impressed with it and she made the table look so nice, Loved my flowers as well know I was a bit indecisive but I had faith in you and the flower lady and you both did a fantastic job..
Kerry, bless her such a nice lady and I know she felt so bad about changing the venue to the amphitheatre but not her fault and the pictures looked lovely. Feel a bit weepy thinking about you all and how nice you all were. We really did have a lovely day and a day to remember, love the pictures on your Facebook page and on the CD you did for us, thank you so much. The one of little Jessica is amazing, think I am going to get that one enlarged. You mentioned that you have somewhere where I can write something for you where was that? We got wed on the 12th July 2012 and it was beautiful! Peyia Town Hall was really lovely and our meal Stella arranged at a local taverna was spot on. Â We had a very small wedding party and the dancing and entertainment made it a lively little reception for us! Stella arranged our flowers, cars, photography and all the paperwork. She replied to all my emails so quickly I just knew we were in capable hands. Stella not only arranged our wedding, she couldn’t do enough for us – even ironing the men’s suits!! And this was really appreciated. 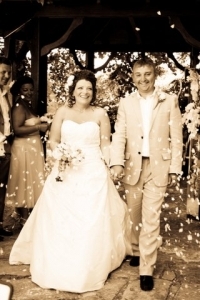 Jenny and Colin Wilson got married at the Armonia Terrace in Coral Bay. The weather was perfect, lovely breezes and everyone had an amazing day. Jenny and Colin were over the moon with their wedding. I met them the next day for drinks and they were glowing with happiness. All the pre-wedding stress was totally unnecessary as Jenny now agrees. Sarah looked wonderful and cried once our hair-dresser and make-up artist had transformed her into a stunning bride her natural beauty shone through. Their reception followed at Zaffron restaurant and lounge bar.